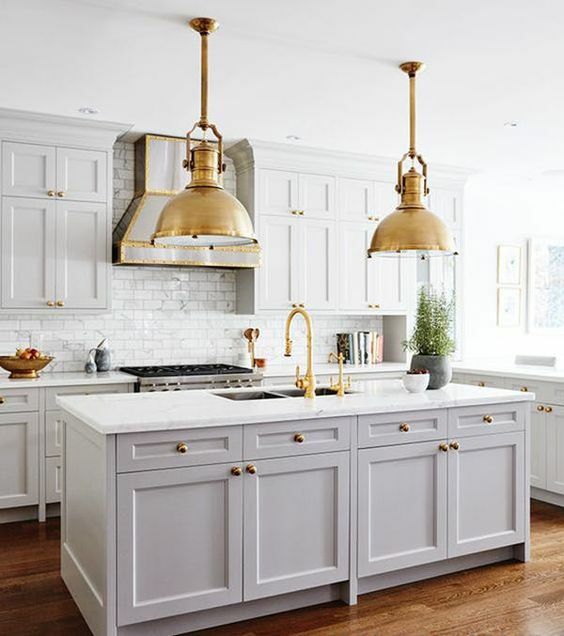 Make your home look expensive and luxurious with some of these designer-approved decorating secrets! 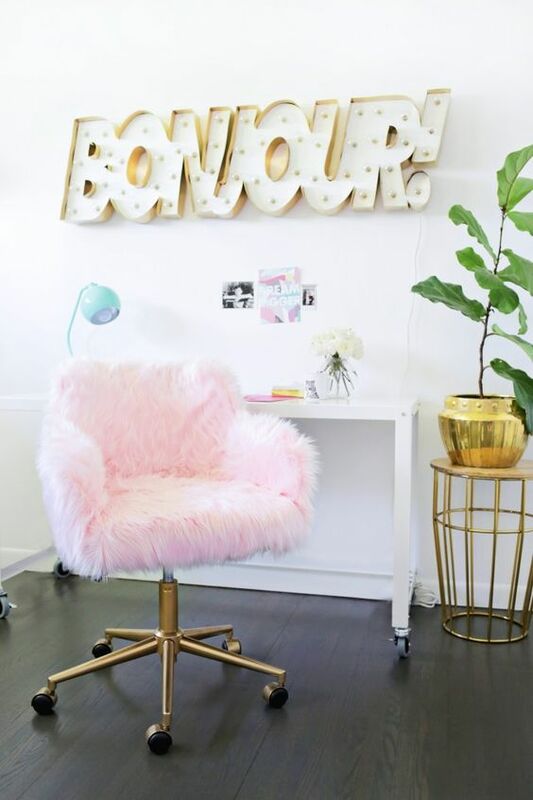 Instead of throwing out your old office chair, purchase a new cushion to plump it up and reupholster it in a fluffy fur fabric! 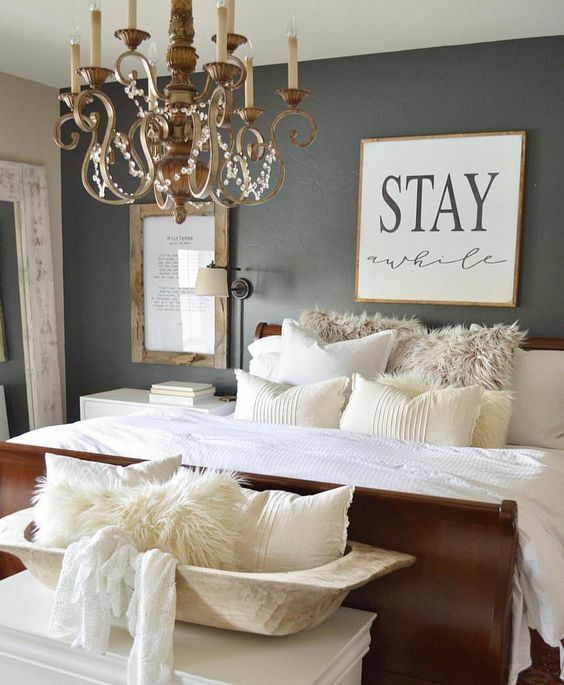 This DIY from Brit.co is an ingenious way of repurposing something old and making it look super glamorous. Marble trays are super expensive but also look super expensive. Thankfully there is an easier way of getting this look for a lot less at home. All you need to do is purchase your own marble slap and install cabinet pulls as handles. Voila, what an easy way to get the look for less. Sometimes there is nothing you can do to save your existing flooring than to replace it with something more modern and durable. Designers are can’t get enough of using vinyl flooring in kitchens, bathrooms, and laundry rooms. We know that hardwood flooring is really trending nowadays but it is hard to maintain in moisture prone areas. 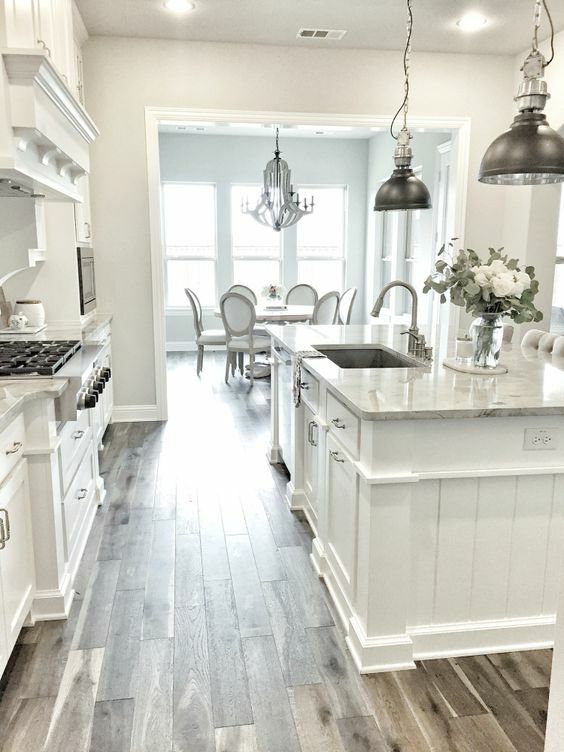 That is why the best vinyl plank flooring is being installed in these types of spaces to get the glamorous look for less but still be on trend. 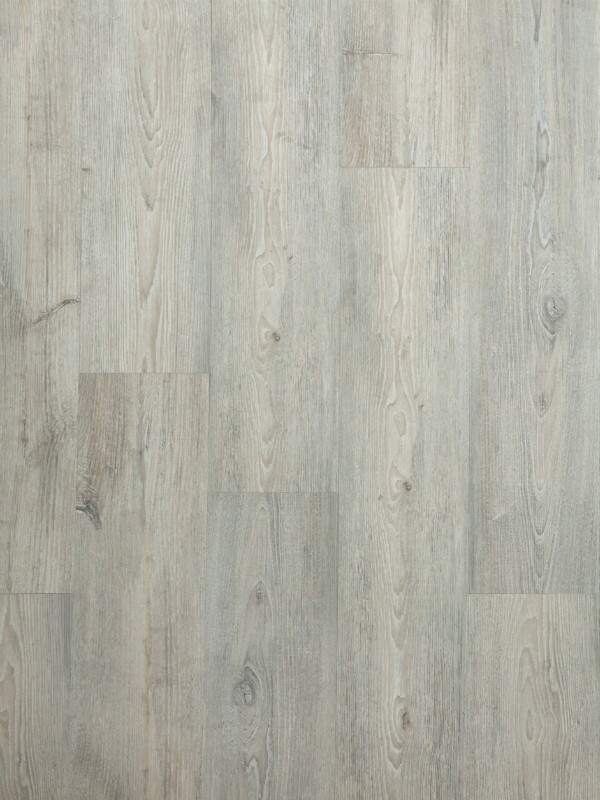 This Castello click vinyl plank flooring is created for those who love a little rustic elegance paired with modern flair. It looks exactly like real driftwood yet its super durable and easier to install! The easiest way to make your home look junky and cheap is with a color palette that does you no good! 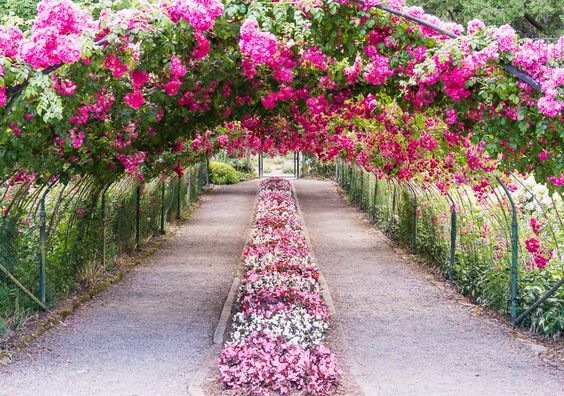 It’s important to choose your colors wisely, because a great color palette can really go a long way and work miracles for your home. 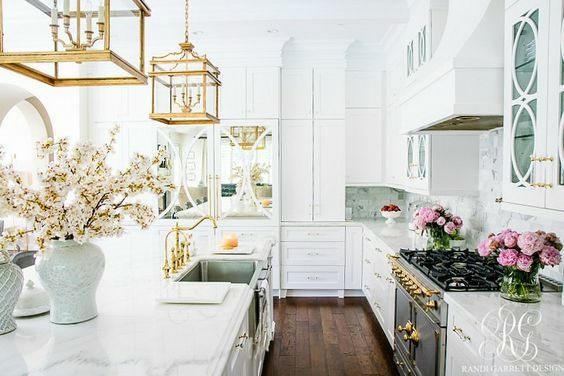 Stick to colors that are sleek and luxurious such as combining all white with touches of gold, marble, and fur. This is a trendy combination that can make your home look expensive without the need to shell out the big bucks. 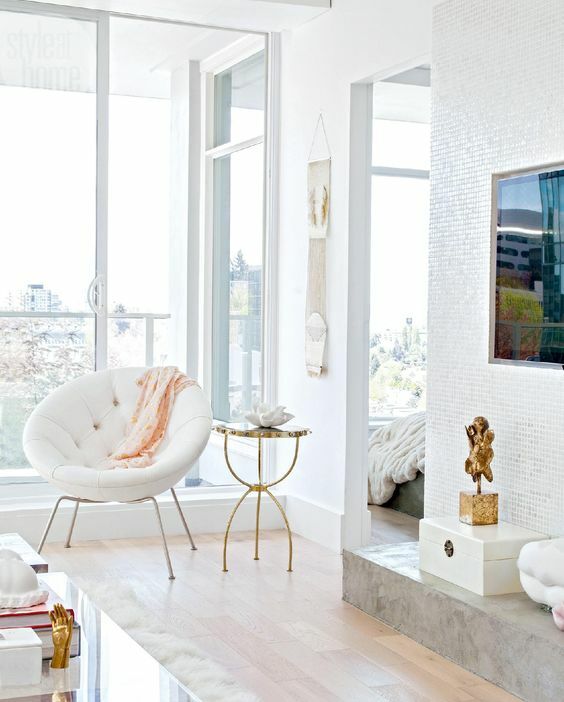 White walls, an iron coffee table painted in gold with a faux marble top, and a beautiful fur throw will work wonders for your home. Do you love the bohemian look? This designer rolled out a beautiful neutral sisal rug in this living room and then layered it with a greyish cowhide rug. 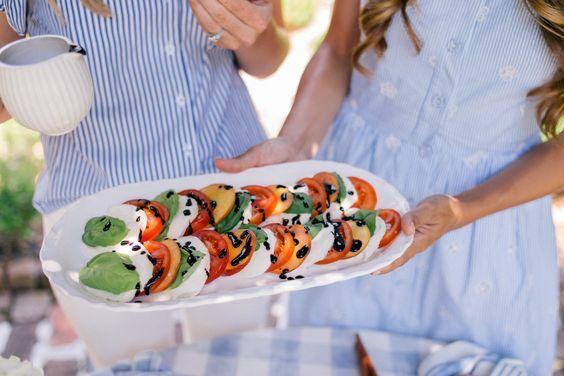 What a smart way to get a natural looking theme going on with little effort or investment. 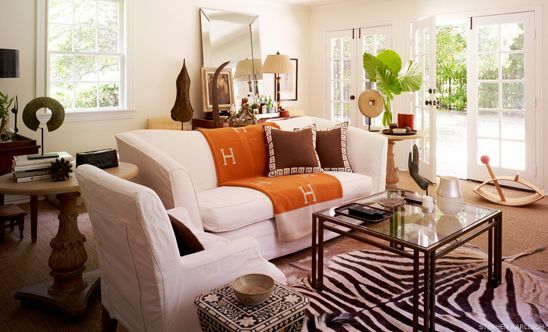 You can get a sisal rug like this from Pier 1 Imports and the cowhide rug from IKEA. 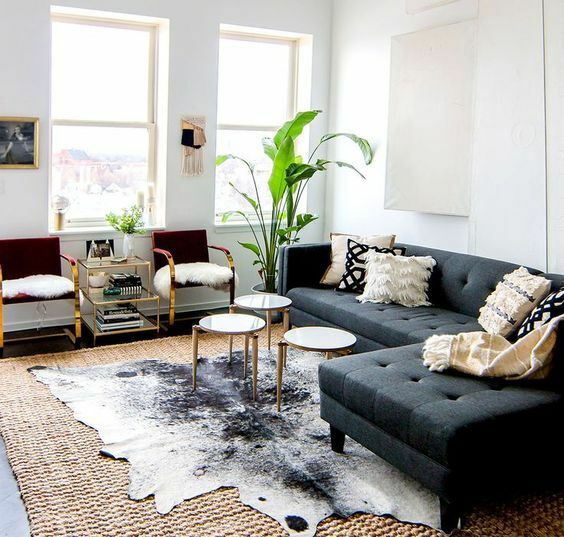 Both cheap places to shop and you can get a glamorous look going on in your home for cheap! Large, colorful, bold paintings are fantastic ways of upping the luxe factor in your home, but they can cost thousands. Why not create your own Picasso for less? Purchase a large canvas and start painting away a geometric or splattered work of art that looks bold and matches your current theme. Then, add metallic gold paint or sparkles to make it really pop! 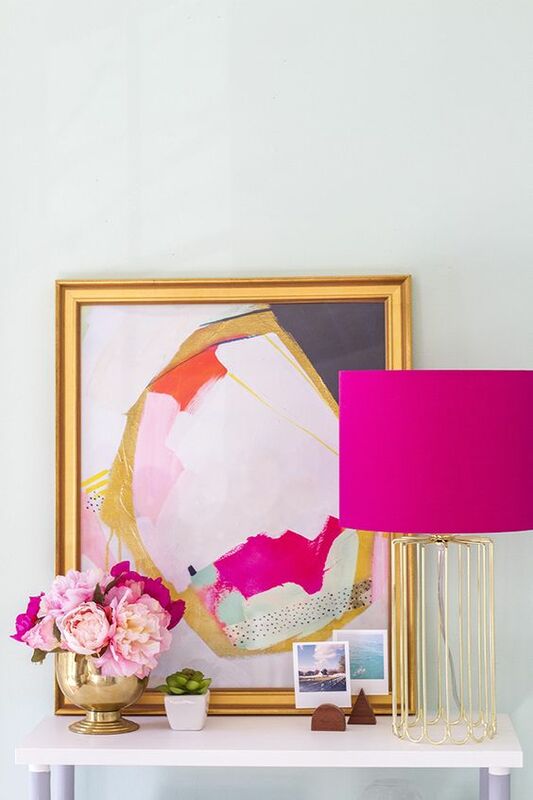 Lean it on a side table at the entrance of your home to greet your guests with style!